T.J. English clearly did something right with his upcoming book "The Corporation: An Epic Story Of The Cuban American Underworld." Because even though it’s not been released yet, the novel sparked a huge bidding war between numerous studios, which has now been resolved. Who came out on top to claim the film rights? Paramount Studios and Appian Way, who have Benicio Del Toro already attached to star in the project. The Hollywood Reporter has confirmed that Benicio Del Toro will take the lead role in "The Corporation," which takes place over the decades between the 1950s and 1980s in Miami and New York. What also made "The Corporation" so appealing was the fact that it’s based on the real life antics of the Cuban mob during this period, which increased the integrity of the story tenfold. 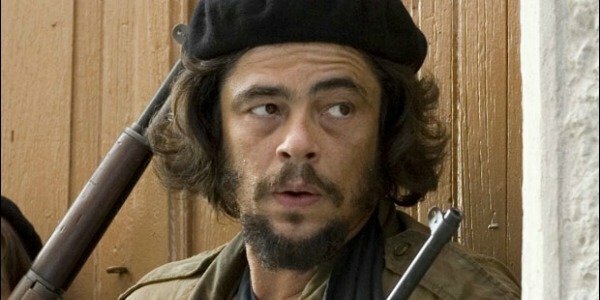 In "The Corporation," Benicio Del Toro will play Jose Miguel Battle Sr., who leads the eponymous and hugely powerful Cuban mafia. Born in Havana, Battle escaped to the US following the rise of Fidel Casto. Alongside his team of fellow Cubans, Battle was trained by the CIA so that he could fight in the 1961 Bay Of Pigs invasion. Despite his name, things didn’t go so well for Jose Miguel Battle Sr. during this attempted invasion, as he was captured, which led to him being imprisoned inside a Cuban prison. Battle failed to find the light side during his incarceration, and, when he was released, he headed straight back to the U.S. where he set off to build a huge criminal empire alongside the same posse of men that he fought with. His empire revolved around drug trafficking, gambling, and, even murder, and made him one of the most powerful crime bosses in the US until his death in 2007. Obviously this material is rife for cinematic adaptation. This is what provoked such a fervent battle between several studios, all of which either had their own actor or director in line for the film. In fact, according to The Wrap, Oscar Isaac and Warner Bros. are currently celebrating landing the rights to the book. Oscar Isaac was working alongside producers David Heyman, Brett Ratner, and James Packer in his pursuit to try and land "The Corporation," while Sony also developed their own offer that would have seen Paul Greengrass direct, and Scott Rudin and Amy Pascal produce. Their efforts all ultimately proved to be futile, though. Those of us who are planning to leaf through T.J. English’s book before the film is released will have to wait quite a while longer. That’s because HarperCollins’ William Morrow is only going to release it at some point in 2017. Expect the film to follow either towards the end of 2017 or in 2018.